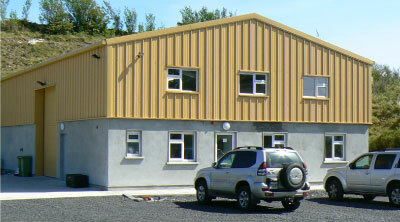 Ceco Equipments new purpose built facility. Baler assembly at our new facility. Balers loaded for delivery. Ceco Equipment, formed in 1999, manufacture and supply a full range of Recycling & Reduction machinery, which include Balers, Bin Presses, Bag Presses, Bottle Crushers and Bale Strapping. These machines are currently working in every county in Ireland, the U.K., Spain, France, Italy, Greece, Norway, Africa, Saudi Arabia, U.A.E., Kuwait, U.S.A. and as far away as Australia. All our equipment is made in Ireland and CE Approved. 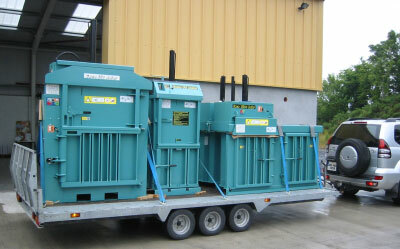 Ceco supply balers suitable for every application - from the small retailer right through to the mill size producer. As a result our balers can be found in sectors which include retail, hotels, restaurants, manufacturing, distribution, wholesale, schools, hospitals, airports, building sites, government bodies, recycling and waste transfer facilities. Ceco Equipment has earned a reputation for first class customer support and after sales service. 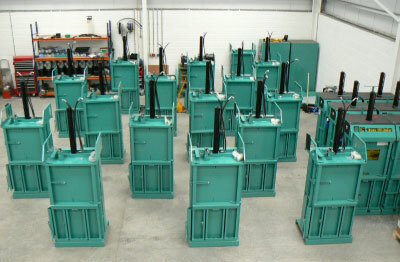 Our machines are Affordable, Reliable and Built Strong ensuring many years of trouble free operation for the end user. As well as equipment sales, over the years we have developed a large trade in the supply of Bale Strapping / Banding. We stock a large selection of strapping suitable for all makes of balers.